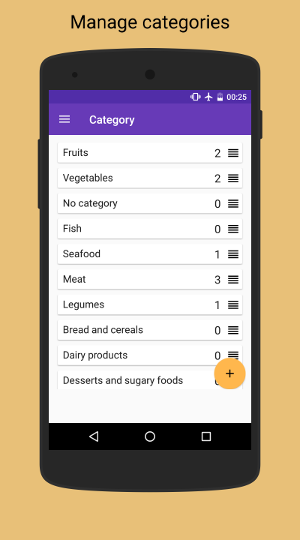 Best Before – Food Tracker allows you to manage and track your food. Add products, consume them or throw them away. Track opened products and those close to expiry date. Different categories and locations to classify products. So you will remember what is stored in the fridge. – Autocomplete field to enter products. – Add images to products by taking a picture or choosing an image from your gallery. 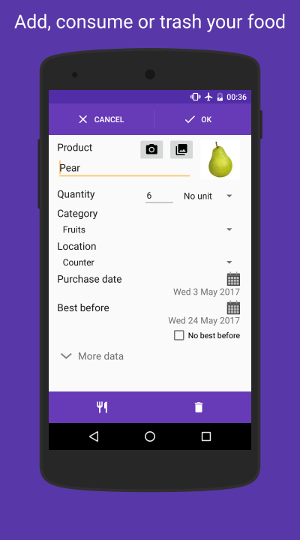 – The app remembers products that you’ve previously entered. – A lot of product suggestions. – Product management by category. – Product management by storage location. – Customization of categories, locations, units. 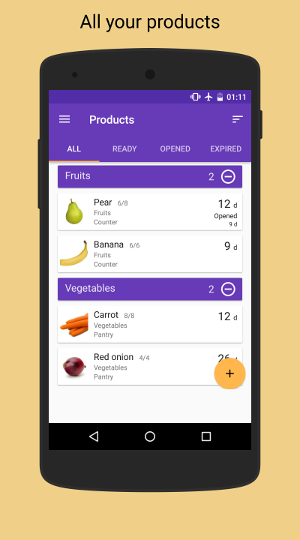 – Notifications to remind you to eat products before expiry date or after opening.